What’s the difference between an acceptance letter and a job offer letter? A functional resume versus a chronological resume? Chronological Resume – resume that highlights an applicant’s work history starting from the most recent work experience listed in reverse chronological order. Confirmation Letter – written confirmation from an employer to a candidate that confirms the terms of a job offer including salary and start date. Cover Letter – also called motivational letter, is a summary highlighting an applicant’s interest in a particular job. Functional Resume – a resume that highlights an applicant’s specific experience and skills rather than a chronological listing of work history experience. Functional resumes are often used to emphasize specific experience or to de-emphasize limited experience. 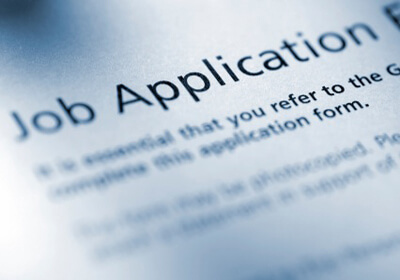 Job Application – A template or form completed by the applicant to express interest in a particular job. Although the type of information required on a job application may vary, most basic applications include sections for the applicant’s name and address, the title of the job that they are interested in, current and prior work experience, references and a signature line. Job Offer – A verbal or written agreement that confirms details relating to an offer of employment. This may include salary and benefit information, as well as the employee’s start date and scheduled hours of work. Need more human resources definitions? Check out the HR Dictionary at http://easysmallbusinesshr.com/. Glad that you found it helpful. These are definitely terms that may seem obvious to those of us in HR, but not the lay person.